Long dismissed as a waste of time, doodling is getting new respect. Doodling can affect how we process information and solve problems. After reading an article by the Wall Street Journal columnist Sue Shellenbarger, I found it hilarious to walk through our office and see the doodles below on a White board. The team were taking turns throughout the day to draw a part of a character, then it was over to the next person to add their contribution, a sort of office DoodleJam. The department that was doing this - our Customer Experience Delivery Department. This department is responsible for Simply Delivering our services to our customers. They fight on a day to day basis (on behalf of our customer) with suppliers, technology and the elements to deliver our communications services to our customers in a simple way. Should we wipe the board clean and put up performance stats, outstanding orders, our Scrum status? No way, the scientists are telling us that doodling is creating new ideas, helping people stay focused, helping people solve problems - I am going to buy them another board, their stats are already 100%, now I know why! Please have a look at https://www.google.com/doodles/ and refocus your day. 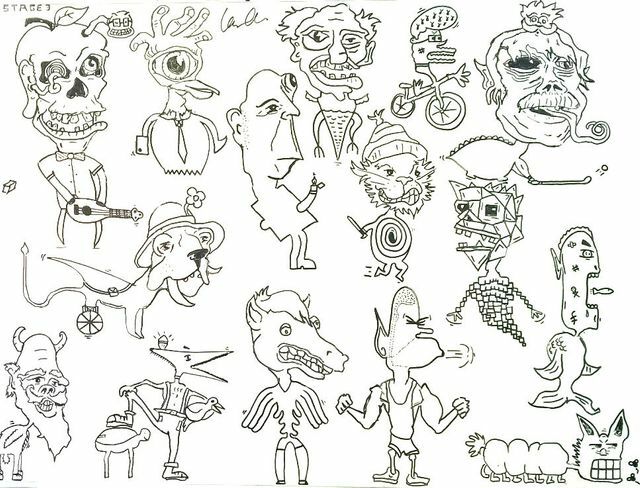 Research Shows That Doodling Helps People Stay Focused, Grasp New Concepts and Retain Information. Neuroscientists and other researchers who say doodling can help people focus, ease impatience, vent emotions and even generate bursts of insight or new ideas. Recent research in neuroscience, psychology and design shows that doodling can help people stay focused, grasp new concepts and retain information. A blank page also can serve as an extended playing field for the brain, allowing people to revise and improve on creative thoughts and ideas. Doodles are spontaneous marks that can take many forms, from abstract patterns or designs to images of objects, landscapes, people or faces. Some people doodle by retracing words or letters, but doodling doesn't include note-taking.